Three suspected armed men who invaded Nollywood actor John Okafor house in Lekki Lagos over the weekend have been caught. The suspects whose identities remained unknown allegedly broke into Ibu’s home on Saturday the 6th of January 2018 and operated from 3am till 4:25am. At the end of the operation, they carted away N14.3million and all properties and valuables of the actor. 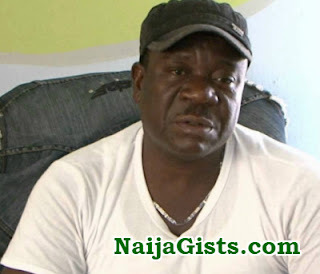 Mr Ibu who is currently on set in Enugu has confirmed the arrest with Edaily. The actor said the robbery came as a rude shock to his family as they never expected such in a new year. Meanwhile, the actor is already on his way to Lagos to comfort his wife and see the suspects. Good. They never thought a “film person” would place camera in his house to record the goings on there.please parade them.